Cantiere Sanbernardo is a nonprofit cultural association based in a fabulous 15th century deconsecrated church in Pisa, Italy. 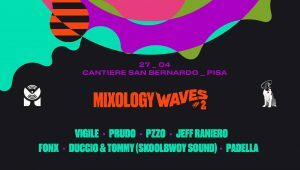 Since 2002 Cantiere Sanbernardo, aka CSB, has been a landmark in the city’s underground cultural scene. The CSB crew is a bunch of volunteers who organize many events such as gigs, dj-sets, exhibitions, street art, performances, plays, vj-sets as well as freak festivals and parties, just for fun. CSB crew is constantly looking for brand new artists to cooperate with, within the walls of San Bernardo Church. If you think we’re insane enough for you, check out our website or come and visit us in Pisa.